Major Student Loan Announcement: My NJHESAA Loan is Fully Repaid! That’s right, folks, you read the headline of this entry correctly. After 52 months of repayment – beginning way back in July 2006 – my New Jersey Higher Education Student Assistance Authority (NJHESAA) student loan is now fully repaid. And now it’s time to celebrate! Well, before the celebration begins, let’s take a look at some of the facts and figures around this student loan. Starting with the screenshot of my account balance being listed at $0! After graduating from Monmouth University in May 2003 and the Bloustein School of Planning and Public Policy at Rutgers University back in May 2006, I earned two powerful degrees: a Bachelor of the Arts Degree in English and a Master of the Arts Degree in Public Policy. However, I also obligated myself to an overwhelming financial anchor in the form of $120,720.46 worth of student loan debt. NJHESAA’s share of that anchor was $51,595.27. Believe it or not, I actually tracked how all of that student loan debt was assumed and here’s the breakout (the financial figures include both the amount of the loan and the capitalized interest; also, these are my figures and may be a few pennies or a dollar or two off from what the loan company keeps on file). I’m compelled to note that the total repayment amount is 165% of the original loan amount. I don’t know about your point of view, but the fact that hardworking students and graduates are put in a position to pay 65% over their original loan amount is revolting. What aggravates me the most is that I paid 165% of the original loan amount even though I engaged in an extremely aggressive repayment schedule. Really – you should see this spreadsheet that I put together with all of my student loan debt broken out from each of my loan sources. I sit back and look at the spreadsheet these days and I can’t help but comment that the amount of debt I took out to attend both college and graduate school is absolutely remarkable. However (and let me say this again), I’m not some victim nor was I duped into signing these promissory notes. I fully understood that by taking on these student loans I would be fully responsible for repaying them. This is what I wanted and this rapid repayment is what I always planned to accomplish. But what’s even more remarkable is that as of today, that $51,595.27 student loan (plus $14,645.33 in other interest and fees) sits at $0.00. It’s amazing. But where does that leave this whole repayment plan that I’ve been talking about for the better part of the last year? Well, actually… it’s over. I specifically created and designed the repayment plan to aggressively repay my NJHESAA student loan and as of today that goal has been achieved. This past summer I began envisioning this very day and thinking about what the next step in the overall repayment of my student loan debt might look like once this day arrived. So yes – I do have another repayment plan that will address my remaining student loan debt to the United States Department of Education (USDOE). However, my relationship with the USDOE has always been excellent. Their customer service folks are friendly and helpful and I’m not charged an interest rate that is borderline criminal. I think that I have a great borrower/lender relationship with the USDOE Direct Loans program and I’m looking forward to continuing to work within that relationship (which, by the way, carries into my professional life as I manage a large USDOE grant for my company). I’m not sure if I’ll wind up attacking the USDOE loan – which sits at about $54 thousand outstanding right now (down from a high of $59 thousand) – with the same vigor and hyper-focus that I put into repaying the NJHESAA loan. Over the summer, I drafted my financial goals for 2011 (yes, I draft my financial goals half a year in advance and then I revise them during the months leading into New Year’s Day) and among my financial goals for 2011 is to pay $10 thousand in excess of the minimum monthly payment due to the USDOE. And when you consider that I paid more than that to NJHESAA this week alone, it shouldn’t be too hard to accomplish that goal! It feels weird to quote a Senator that I wasn’t crazy about from a political party that I’m ambivalent towards, but his words really fit the day. For those of you who have been following my student loan repayment story on JerseySmarts.com, I thank you for your patronage. If you’re coming to this page or to JerseySmarts.com for the first time through a Bing or Google search, then I welcome you to the blog and I hope that you stick around to hear the story of how I repay the remaining $54 thousand that I have outstanding in student loans to the USDOE. The work begins anew… right now! In May 2006, I graduated from Rutgers University with a Masters Degree and $120,720 in student loan debt. After completely repaying over $61 thousand in student loans from the federal Perkins loan program, the New Jersey Higher Education Student Assistance Authority, and CitiBank, I currently owe $54 thousand to the United States Department of Education’s Direct Loans program. Follow my student loan repayment story on JerseySmarts.com. Update – December 26, 2010: Hey everyone! I’ve added some downloadable content to this page. 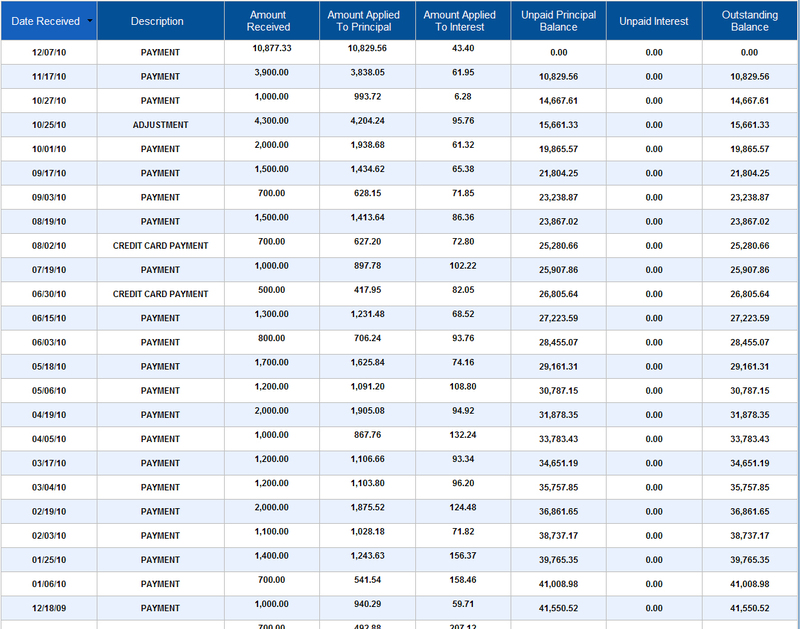 Now you can download a version of the spreadsheet that I used to track my repayment of this NJHESAA student loan. Incidentally, I’m going to use this same spreadsheet to track the repayment of my USDOE loan, too. In addition, I’ve uploaded a PDF of my official paid-in-full letter from NJHESAA. Oh, and this letter includes the amortization/repayment schedule, too… including a breakout of the $14,645.33 that I paid in interest alone! Feel free to look through this stuff and let me know if you have any questions. Enjoy! Update – July 30, 2012: Sometimes, I get the urge to revisit some of these older posts. After reviewing this one, I noticed that the student loan breakout was not as clearly attributed as it could have been. So, I revised some of the numbers up above to show the true cost of the loan during its lifetime. The numbers above all “foot” (i.e. equal) the same amount paid to the NJHESAA – $66,240.30. However, with the revisions above I’ve better described how much of that $66,240.30 was actually principal, how much was capitalized interest or regular interest, and how much was different fees. 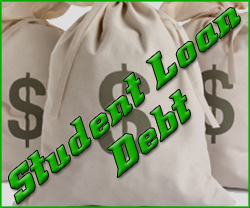 For those of you who are learning about student loans and financing – capitalized interest is interest that is added to the principal amount of a loan. The interest due on my NJHESAA loan was added to the principal balance at the end of each semester. Anyway, the numbers above are more reflective of what I actually paid to this private loan company. Last night I, along with millions of Americans, watched Senator Ted Kennedy give a raucous speech at the Democratic National Convention in Denver, Colorado. Whether you love him or you hate him, you have to admit that it was good to see the man standing up on his own power and speaking with the force and passion that defined his political career. I thought the opening tribute video was a nice summary of his political accomplishments, too. I understand, however, how some people will never be able to forget his connection to the Chappaquiddick incident. But putting those issues aside, the man looked pretty good for someone who has recently undergone brain surgery and chemotherapy. As for the rest of the convention, I thought it was a good night. And I don’t subscribe the theories that the Democrats should have been stronger on the attack. Americans have been promised “change” and a “new politics” and I think the Democrats are carrying out their end of the deal by not using their convention to bash the opponents. Speaker of the House Nancy Pelosi gave a nice speech (giving a great shot out to Italian-Americans – whoo hoo!). I didn’t care for Jesse Jackson, Jr.’s speech, but that’s because I don’t think he really said anything…which is par for the course. Michelle Obama gave a good speech, too, but mainly because she has completely changed course from her previous anti-American stances. I’m sorry, but when a person says that “America in 2008 is a downright mean country” and that this is the “first time in my adult life that I am proud of my country,” those are extremely negative statements. But her speech tonight was very well written and very well spoken. An excellent job by Michelle Obama! Unfortunately, these conventions are always marred by morons on the outside. The anarchists who are protesting the DNC should be ashamed of themselves. They represent that worn-in crud on the boot of American politics and, frankly, that’s too high of a position for them. I saw one article that reported there were anti-Obama, anti-gay, anti-black, anti-war, anti-Democrat, anti-government, anti-American, and anti-FOX News protesters outside of the convention yesterday…to name a few. Talk about people who are brainwashed!